Find Better Ideas, Faster ® with a custom takeout trend report, our PRO Dashboard and 80+ categories of premium trend reports. 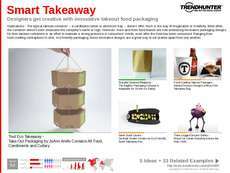 The Takeout Trend Report explores the increased demand for on-the-go meals and snacking, and addresses how brands are catering to these needs with smartphone applications and simplified packaging concepts. The report also addresses the need for fast gourmet takeout meals and upscale dining within affordable restaurants. 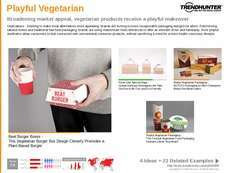 There is also a major focus on health, flavor and sustainability with regard to these products. 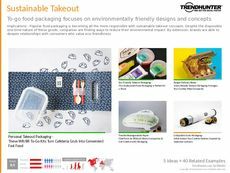 This food and packaging trend report is ideal for fast food eateries, dine-in restaurants and packaging designers. Brand managers and marketers will also find this report to be extremely useful when releasing new products and introducing convenient on-the-go meal items. 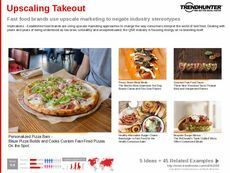 When launching new packing concepts or gourmet-styled takeout dishes, the Takeout Trend Report will provide insights based on crowd-sourced research that will allow products and services to reach a desired audience.